Hello and welcome to the One Credit Contest!! It's a competition to see who can get the farthest in a game on a single credit. 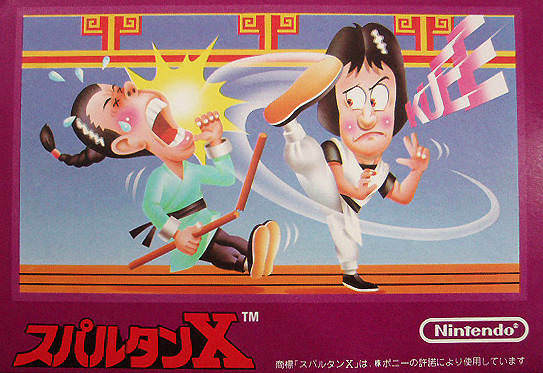 Our game this week, chosen by Valigarmander, is Kung Fu for the NES! "Loop" means whatever number is next to the dragon icon, e.g. "0-3" if you game overed on stage 3 of the first loop. I will maintain a leader board in this post, and about one week from now the winner will be decided. Progress is determined by stage, then score. The winner gets to choose our next game. You may post new scores as often as you wish. Have fun! P.S. If anyone has any trouble obtaining or running the game, please let me know! I will be glad to help! Last edited by mushroom on Sun Nov 11, 2018 11:57 pm, edited 7 times in total. This ought to be fun. I don't think I ever made it past the second floor as a kid. @Booyakasha, get in here. You're the one who mentioned this game. I didn't realize Ganon was the fourth boss in this game. Man, I friggin love 'Kung Fu'. I made it back to Floor 2, and suddenly I can't remember how to deal with the falling traps. So my good official NES controller seems to have a problem with its B-button. Sometimes it works, sometimes not. Can I use a third-party controller? This is essentially an unofficial NES Max. I promise I won't use the turbo buttons. I mean...I've played the game for thirty years without turbo. Adding buttons and unpredictability to a twitch arcade title seems like it would hurt more than help. In any case, feel free to use whatever controller you want. Try as I might, I can't make it past 1-2. I think that's about as good as I'm going to do this contest. My fingers have gone stupid. Suddenly can't even get to Mr. X, much less beat him. What a shambles I've become.